Fiberglass insulation, which remains one of the most common insulation types in spite of its propensity to absorb moisture, should never be used in a basement. If it becomes damp, not only is its ability to insulate compromised, but it also tends to grow mold and mildew, contributing to allergy symptoms and an unwanted odor. Sometimes fiberglass insulation may be placed inside of a bag or inside a stud wall in the basement, and these applications are not ideal, either. Even if a basement "seems dry," concrete is like a big sponge and can hold onto moisture for years, passing it into fiberglass insulation and contributing to molding. 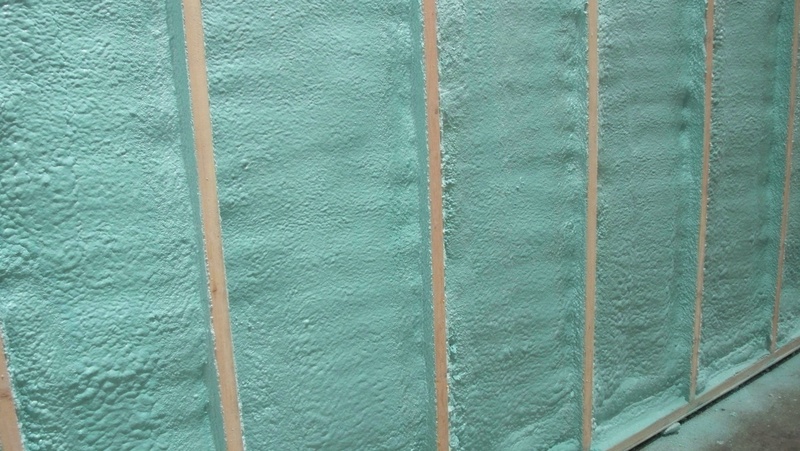 There are really only two good options for basement insulation: spray foam insulation or board-type foam. Both of these materials not only offer superior insulation, but also protect against moisture issues. They are non-absorbent, so you don't have to worry about them developing mold if they do become moist. Spray foam also forms a tight seal, so you don't have to worry about air leaks. Using spray foam materials for your construction projects also means you need a thinner layer of insulation to achieve the same effects, which is good news, especially in cold climates. Visit NCFI's website to learn more about spray foam insulation and other spray foam materials for your construction projects. Use our search tool to find a certified applicator in your area.